Jury Sends Strong Message to Nursing Home Industry by Assessing $4.4 Million Dollars for Death of Nursing Home Resident. Leona Maxim died on August 23, 2013, eleven weeks after she was rolled out of bed for a second time at a nursing home in Solon, Ohio. A Cuyahoga County jury, in a case brought by trial attorneys William Eadie and Michael A. Hill, on behalf of Ms. Maxim’s family, sent a strong message about the standards nursing homes must follow and the safety that patients in this community deserve by returning a verdict in the amount of $4,400,000 against the nursing home for causing her death. The verdict consisted of $1,000,000 for Leona’s injuries, pain, and suffering, and $400,000 for her family for their loss. The jury assessed another $3,000,000 as punitive damages to reform the defendant, Kindred Transition Care and Rehabilitation-Stratford (“Kindred Stratford”) and deter other nursing home corporations in the industry from acting in a similar manner. As a punitive measure, the jury also required Kindred Stratford to pay the attorneys’ fees of William Eadie and Michael A. Hill, the lawyers who represented Leona Maxim’s family. Kindred Healthcare is one of the largest nursing home corporations in the United States, and operates nursing home facilities throughout the country. 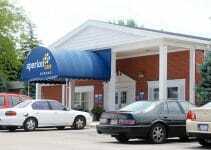 In 2010, Kindred purchased an independent nursing home in Solon, Ohio, called “Stratford Commons.” Kindred implemented its own practices, including rebranding the nursing home as Kindred Transitional Care and Rehabilitation-Stratford, hiring a new Executive Director, and mandating that caregivers follow its policies and procedures. Leona had already lived at the nursing home for three years when it was taken over by Kindred. Several months after Kindred purchased the nursing home, a single nursing assistant turned Leona while she was in bed. Because Leona had weak legs and midsection following her stroke, Leona was unable to stop her momentum and rolled out of bed, hitting her knees on the floor. Leona’s family asked the nursing home to use two nursing assistants whenever Leona was getting care that required repositioning her in bed moving forward. Leona’s doctor ordered that two people assist Leona with all care that required repositioning in bed from that point forward. Kindred Stratford’s staff testified the order was in place for Leona’s safety to protect her from rolling out of bed. On June 3, 2013, a single nursing assistant rolled Leona out of bed for a second time while repositioning her in bed. A second assistant was not present. This time the impact of the fall severely fractured Leona’s right thigh bone, called the “femur” bone. During the course of the litigation, Kindred Stratford claimed that only one aide was present on June 3, 2013 because Kindred Stratford had accidentally “dropped” the order for two-person assistance. Kindred Stratford attempted to explain this as a “mistake” and unavoidable “human error.” However, Leona’s attorneys argued that documentation proved that Kindred Stratford’s nursing assistants were not consistently following the order, and Kindred knew this. Kindred Stratford’s former Executive Director admitted that staff members complained that they wanted more staff and help. The Cuyahoga County Medical Examiner, Thomas P. Gilson, M.D. testified at trial regarding his conclusion that Leona Maxim’s death was caused by the fall and broken leg. Gilson explained that, when a large bone is broken, the body is forced to devote significant energy to heal that broken bone. Because energy is being directed toward healing the fracture, there is less energy available to fight off infection and maintain life. This commonly results in a steady stream of decline. As a result, falls in the elderly are a matter of life and death. Following the broken leg, physicians at the hospital chose to put Leona’s leg in an immobilizing brace, essentially a cast, to permit healing rather than have her undergo the risks of surgery. Once Leona returned to Kindred Stratford, Leona’s family alleged the brace was not being put on correctly. Leona’s family members testified that after informing the staff of multiple errors in placing the brace, they took a photograph of the brace when placed properly and had it hung above her bed so that Kindred Stratford’s staff would place it properly. Leona developed multiple wounds, called pressure ulcers, from the brace. One became a Stage IV pressure sore, also called a decubitus ulcer, that was deep enough to expose the tendon in her leg. The pressure sore became infected with an antibiotic-resistant bacterium. Leona declined physically and mentally to the point that she had to be taken to the hospital and placed on life support. After several days, life support was removed and Leona died. The caregivers at the hospital asked the Cuyahoga County Medical Examiner to investigate the cause of death because they believed her death was caused by the fracture. The Medical Examiner investigated Leona’s death and concluded that Leona died from complications of the broken femur. The official cause of Leona’s death is “femur fracture with complications.” The manner of death was ruled “accidental” because it was caused by trauma, specifically being rolled out of bed on June 3, 2013. At trial, Kindred Stratford argued that although there was a “mistake” in the order, Leona was “assisted” to the floor and never rolled out of bed. Kindred Stratford also argued that the brace was placed properly and was never mismanaged. Kindred Stratford further claimed that Leona died from aspiration pneumonia completely unrelated to the broken leg. After more than two weeks of testimony and evidence, the jury disagreed, finding that Kindred was negligent and that its negligence caused Leona Maxim’s death. The jury also concluded that Kindred Stratford consciously disregarded Leona Maxim’s rights and safety under circumstances that had a great probability of causing substantial harm. This latter finding was the basis for punitive damages, which are intended to punish the defendant and deter similar conduct. 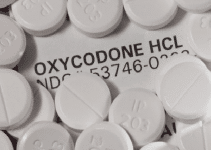 The lawsuit was tried in the Cuyahoga County Court of Common Pleas from October 11-25, 2016 by trial attorneys William Eadie and Michael A. Hill. 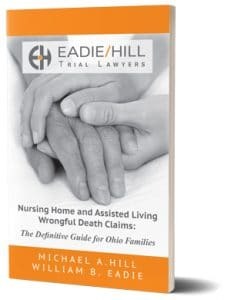 Although based in Cleveland, Mr. Eadie and Mr. Hill handle wrongful death and catastrophic injury cases throughout the state of Ohio and, under certain circumstances, across the United States. Do you have questions about a possible abuse, neglect, stroke, or heart attack case? Contact us now using this confidential form. Or leave a comment below--but remember the comments are public, not confidential. Guess what? That’s true for just about any plaintiff’s lawyer. It’s what a “contingency fee” means. It doesn’t mean they’ll work hard. Or get a good result for you. It doesn’t mean much at all. What we promise you is a NO FEAR guarantee. What does that mean? For 99% of our clients, a medical injury caused by negligence is new. The medical malpractice lawsuit process is new. Depositions, discovery, trial . . . everything is new. New can be scary. Especially when it involves having to testify under oath. We’ve developed systems that let you address and move past the fear. Through education and information about the process. Role-playing and other preparation techniques. We empower you to be fearless. Because this process is hard enough. It's easy, no cost or commitment. What's the best way to reach you by phone? We'll keep this confidential, and send you important information. Michael spent hours getting to know all the details of my aunt's life and going through pictures with us. It was clear that Michael was an honest and good person who genuinely cared about my family. These are just the things we saw him do. I know that he was working around the clock on things we didn't see. I spoke with Will this evening regarding some personal matters. Will was very pleasant and easy to talk to. He listened to all of my questions and concerns, and gave some excellent advice and guidance. Thank you! Will and the group at Eadie Hill Trial Lawyers are very personable and knowledgeable. They are easy to talk to and make you feel comfortable. Michael and Will are forever part of our lives and our Family. I am forever grateful to both of them, and I am honored to call them my friends. I am so relieved that I chose to bring my legal matter to Eadie Hill trial lawyers. Michael is a dedicated attorney who handles his clients with the utmost care. He is professional, personable, and compassionate. From the first call with Michael I knew that I made the right decision. 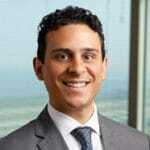 If I ever need a lawyer for another legal matter I would not hesitate to call Michael again. Great lawyers and great people! I worked with Michael Hill on a wrongful death case he handled for my family, and we could not have been more satisfied. Every step of the way, you guys have been wonderful through everything. It seems like you two are my brothers now. That’s how much confidence we had in both of you. We came to Michael Hill with a very complicated legal issue after a loved one died. He navigated my family through the process of recovery and helped us move on with our lives. I highly recommend Michael Hill and his law firm, Eadie Hill Trial Lawyers. Eadie Hill Trial Lawyers - Nursing Home Abuse and Neglect Attorneys Copyright © 2019. Get the definitive guide on Nursing Home and Assisted Living Claims — a $14.99 value — yours free, without commitment.